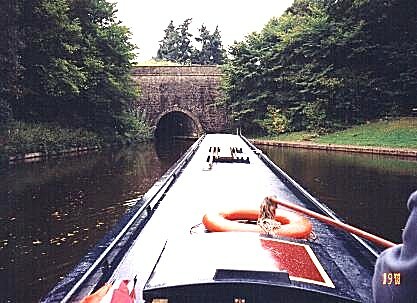 Depart Chirk Marina on the Llangollen Canal at 3-15pm through the WhitehouseTunnel. 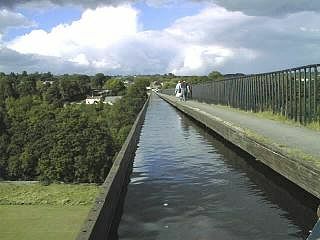 Over the Pontcysyllte Aqueduct and turn at Trevor. Back over the Pontcysyllte Aqueduct and return through the Whitehouse and Chirk Tunnels. Moor at the "Poachers Pocket", Gledrid Bridge at 18:45 for Saturday Night. 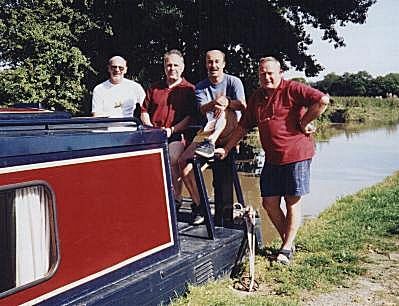 Depart 9:00 to continue on the Llangollen Canal with lunch at Ellesmere. Moor at Platt Lane Bridge (No 43) at 18:00 for evening at "The Waggoner Inn". Depart 8:00 and continue on the Llangollen Canal. 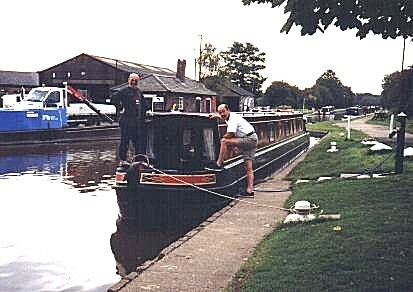 Through the Grinley staircase locks, with a lunch stop for Jim only at the "Cotton Arms" Wrenbury. Stop at Ravensmoor, but decide to go on through the Swanley Locks. 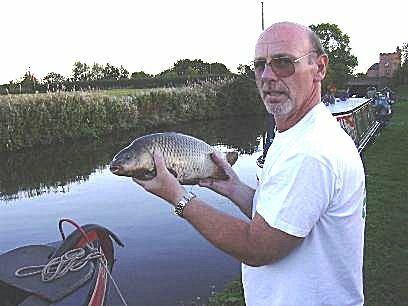 Moor at Wrexham Bridge (No 6) for very good evening at the "Star Inn" in Acton Village. A bad start when the drive select cable broke. Delayed until 11am whilst the boatyard came and replaced it. Navigated Hurleston Junction onto the Shropshire Union canal for short distance. Joined the "Middlewich Branch" of the Shropshire Union at Barbridge Junction and travelled towards Middlewich. Lunch stop at the "Romping Donkey", Hasall Green (quelled mutiny). Moored at 17:40 near the Kings Lock for an evening at various pubs in Middlewich. Left Middlewich at 9:00 on the Trent and Mersey canal. Travelled south to Bridge 104, arriving just short of Barlaston at 8pm in the dark and rain. Evening at the "Plume of Feathers at Barlston Bridge. Stopped at "The Star" at Stone for lunch and shopping. Loss of one Windlass at one of the locks by Ron is considered a serious problem!! Continued south toward Haywood Junction for evening stop. Moored at Gnosnall for the evening with dinner at the Royal Oak. Negotiated the Tyrley flight of five Locks. Evening at Market Drayton with the evening meal at "The Talbot". An enjoyable meal at "The Shakespeare" and some pints afterwards at the "Oldfellows Arms". After operating the automated lift bridge, continue on to Grinley Brrok Locks, where the triple basin lock is traversed just before closing. 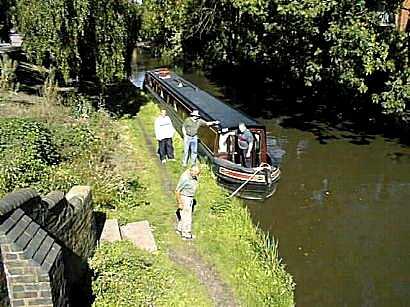 Travel on to Ellesmere where we moor in the canal spur after a turning the boat at the winding hole. Stop for the last night at mooring some distance from Froncysyllte for and evening in a Welsh pub called the "Aqueduct Inn"
After Jim's car started first time, we drove back to Yorkshire arriving around lunchtime.